Freehand calligraphed alphabet for surface embroidery or whitework monograms. 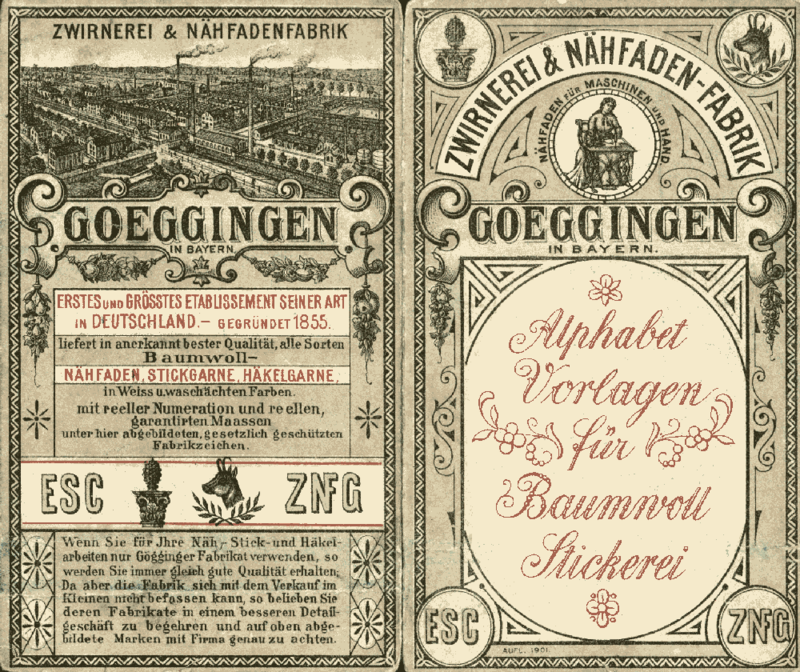 Leaflet given as promotional material by the sewing thread factory in Goggingen. Scan donated by Sytske Wijnsma, edited by Sytske Wijnsma.